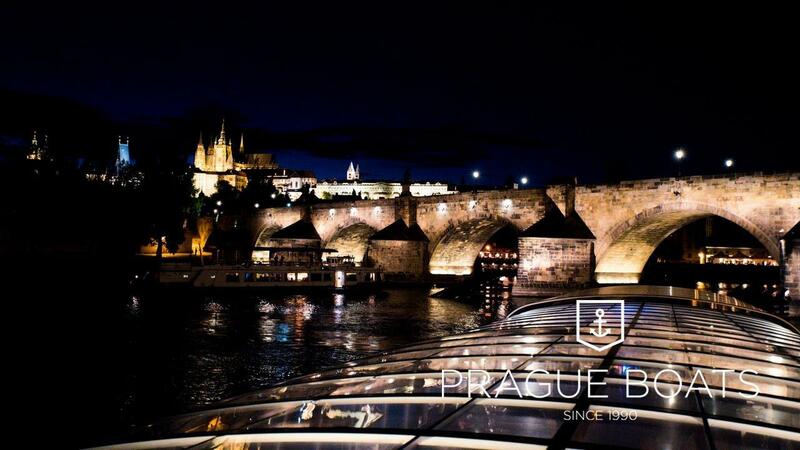 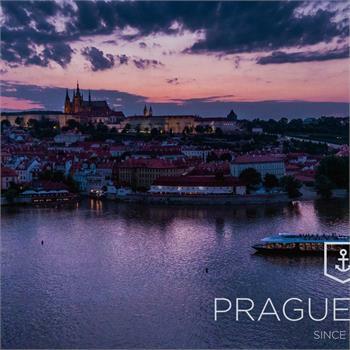 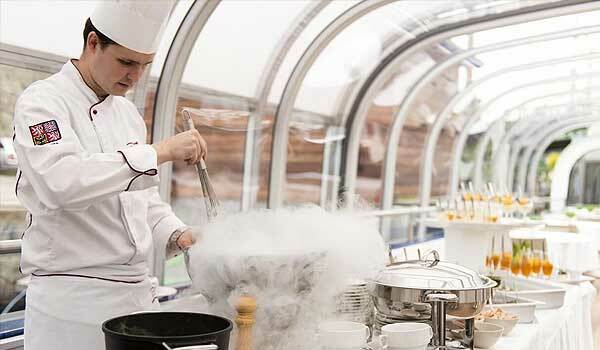 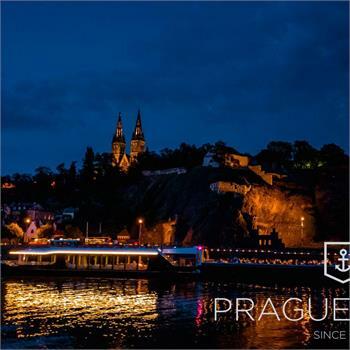 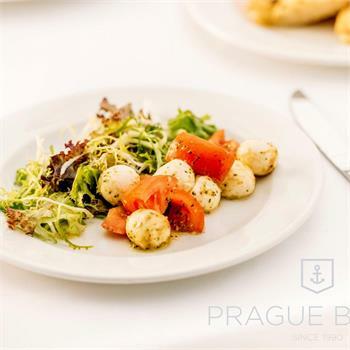 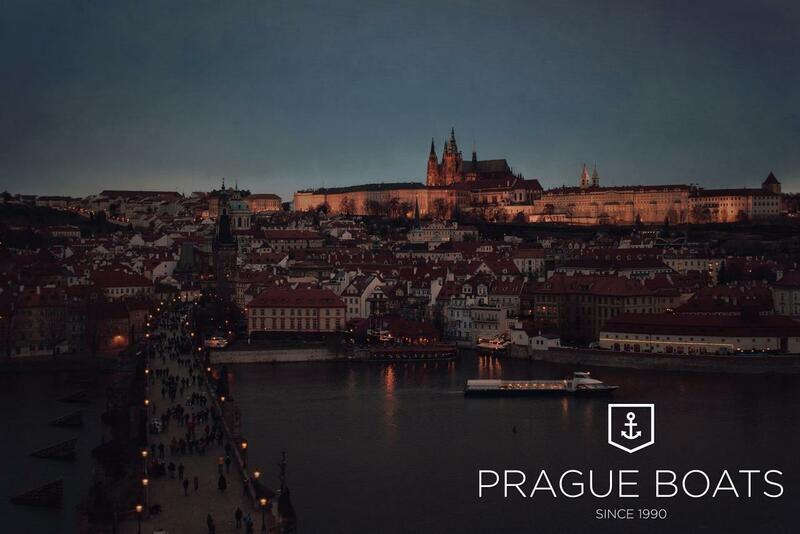 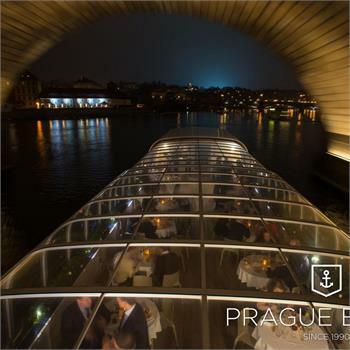 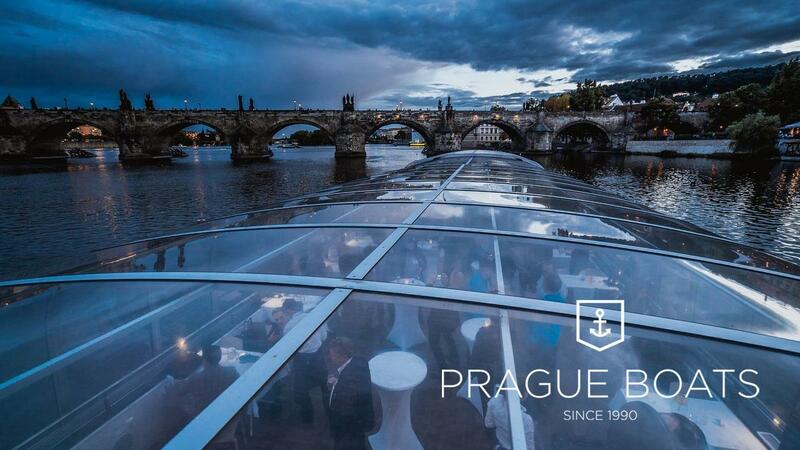 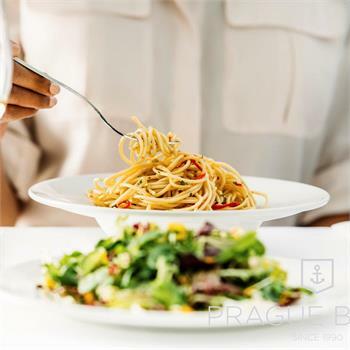 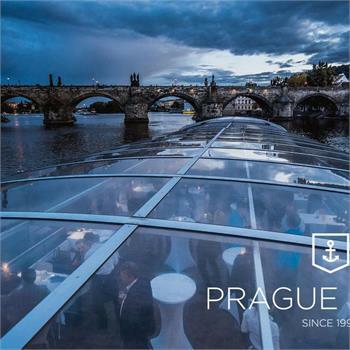 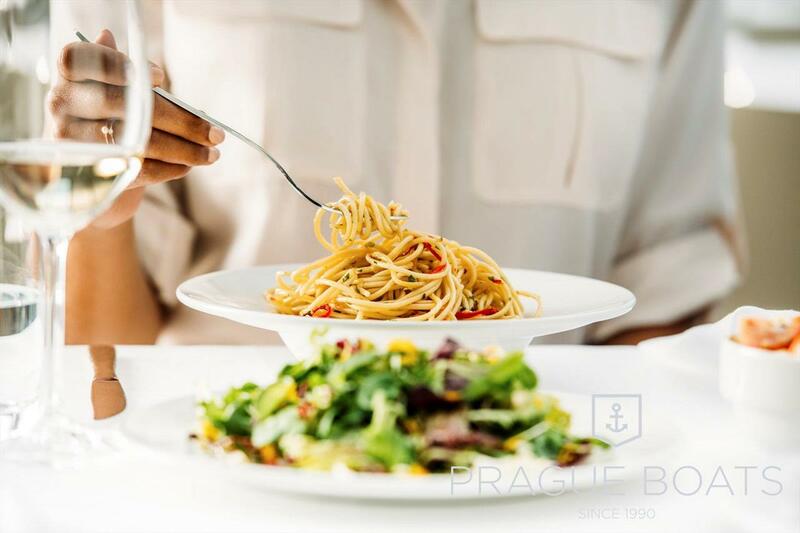 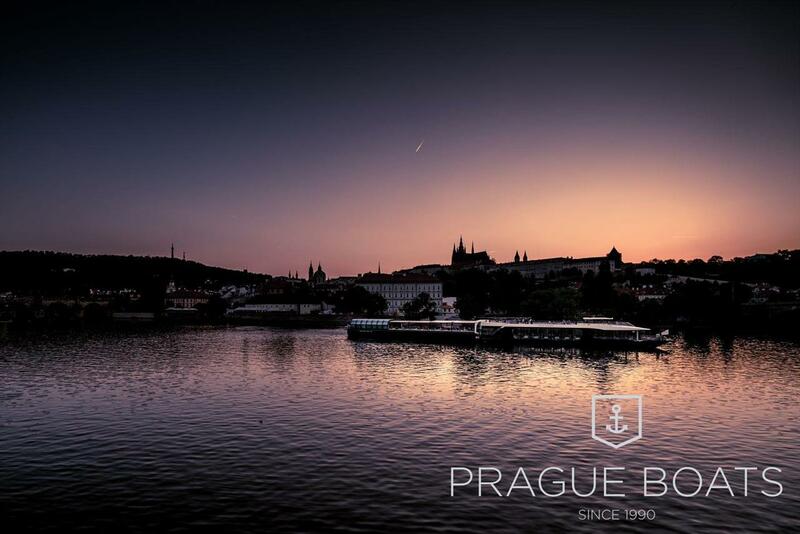 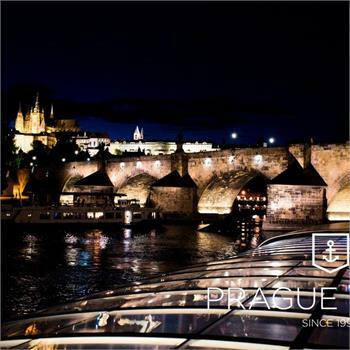 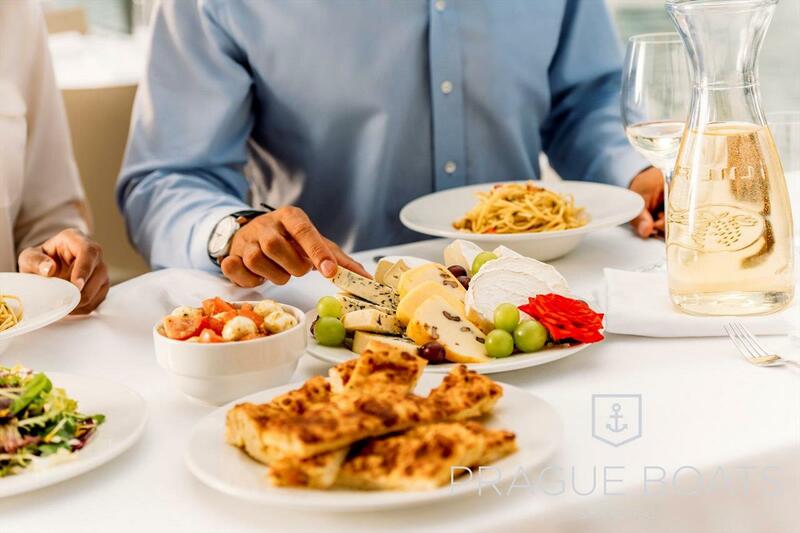 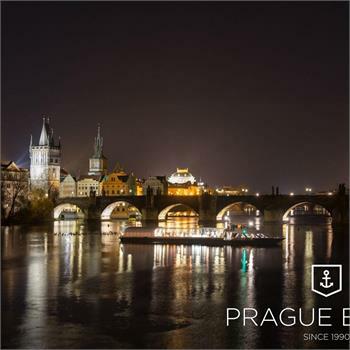 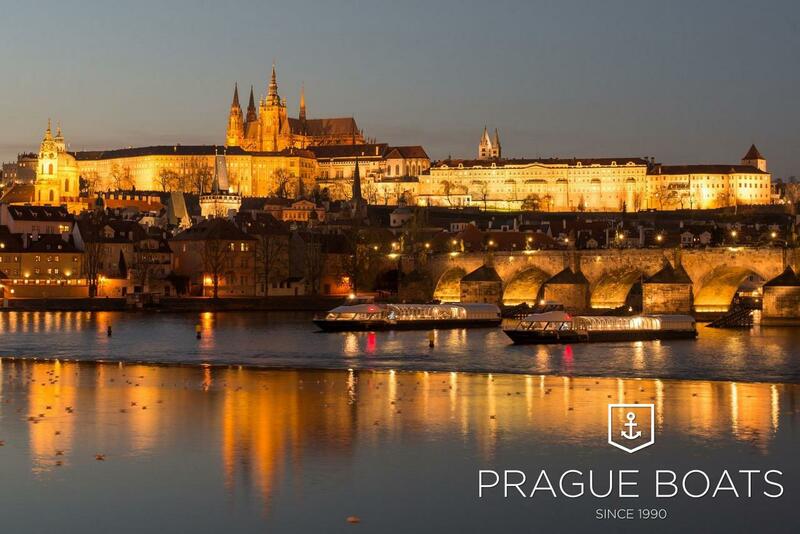 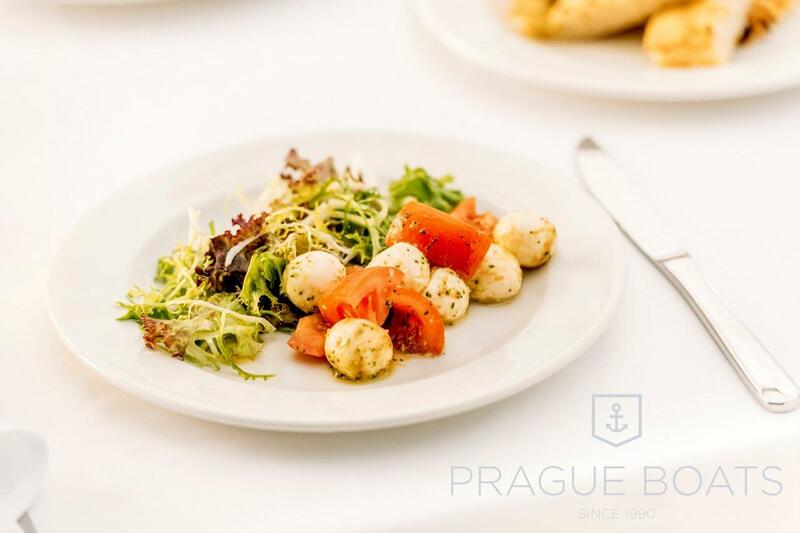 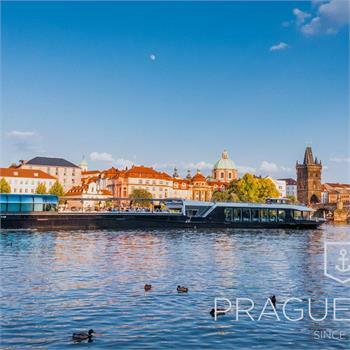 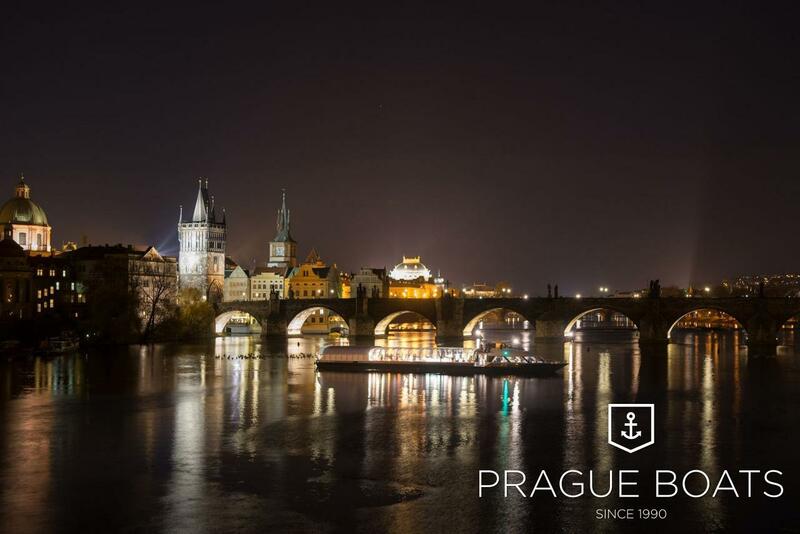 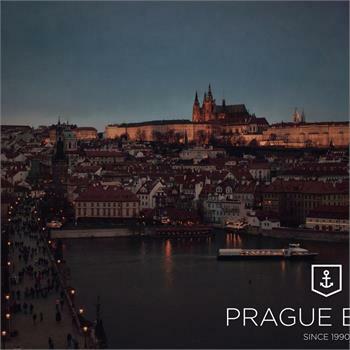 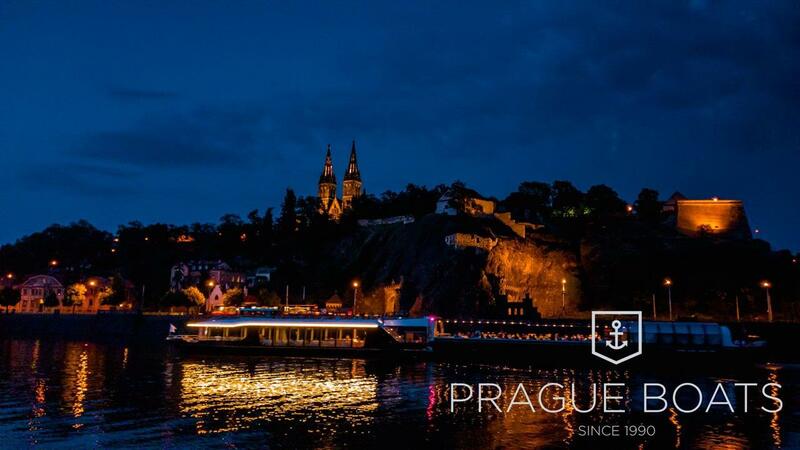 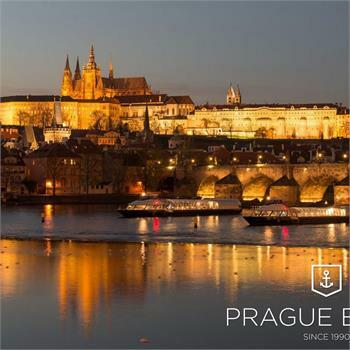 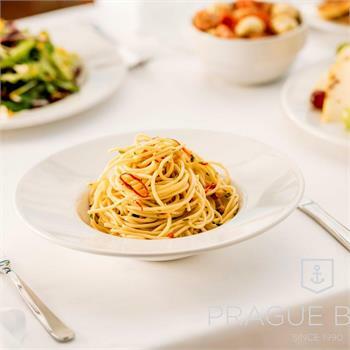 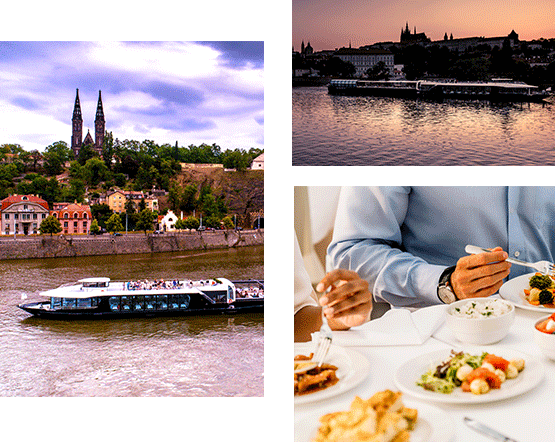 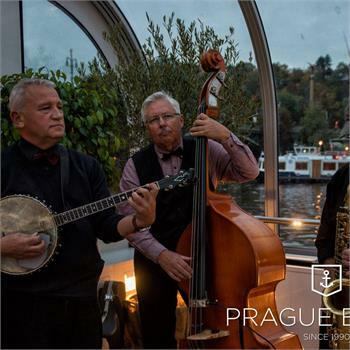 There is no more beautiful dinner in Prague than the crystal dinner on board our glass boat. 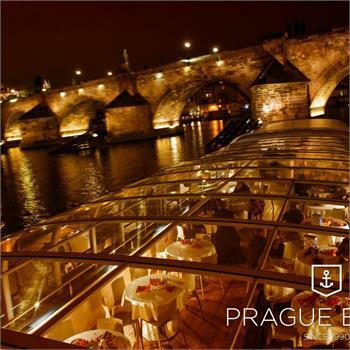 The cruises are always operated on one of our super-modern, luxurious boats: Grand Bohemia, Bohemia Rhapsody and Agnes de Bohemia, which are unique thanks to their glass retractable roofs. 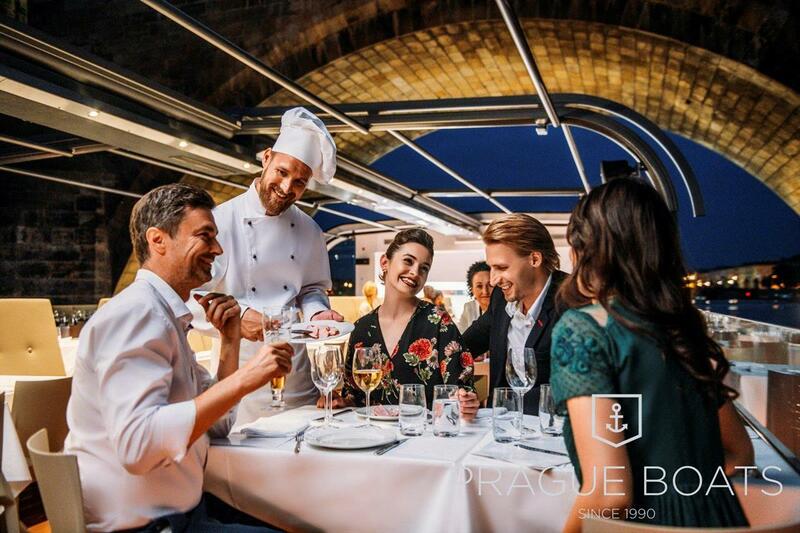 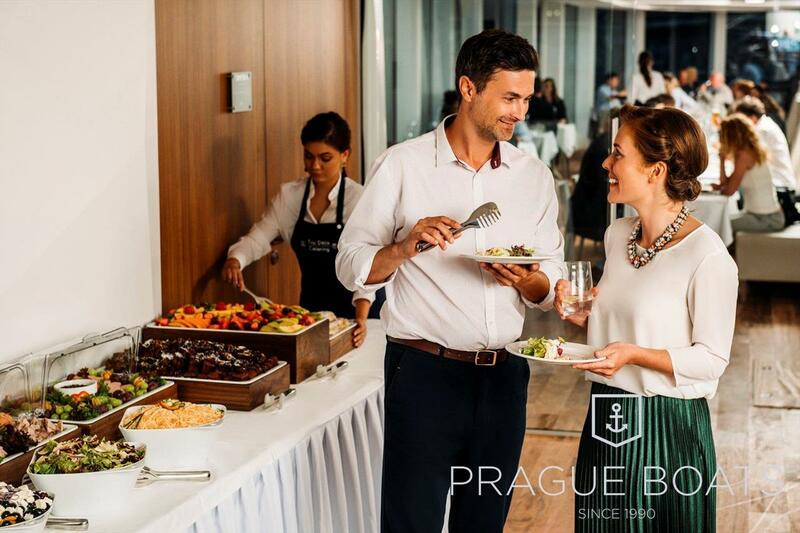 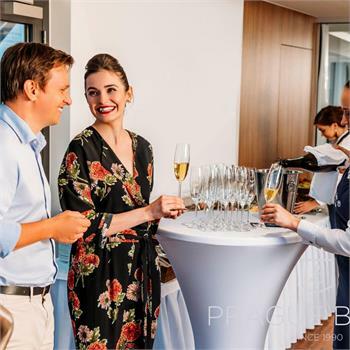 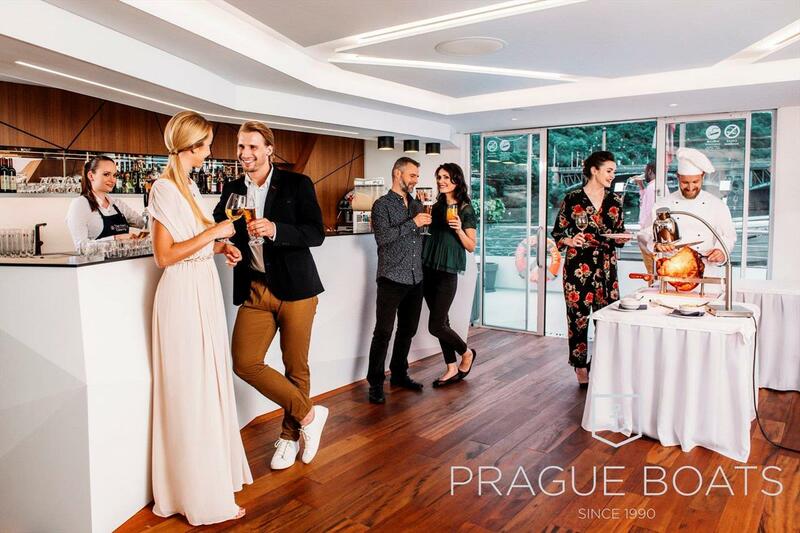 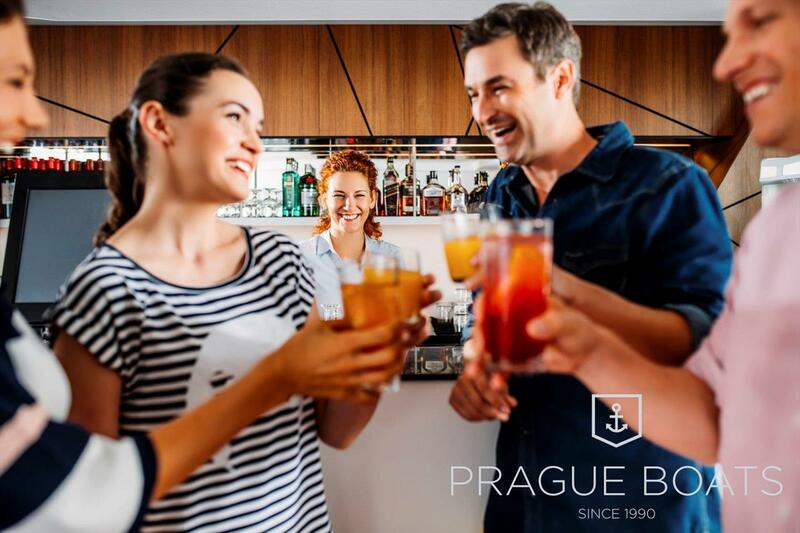 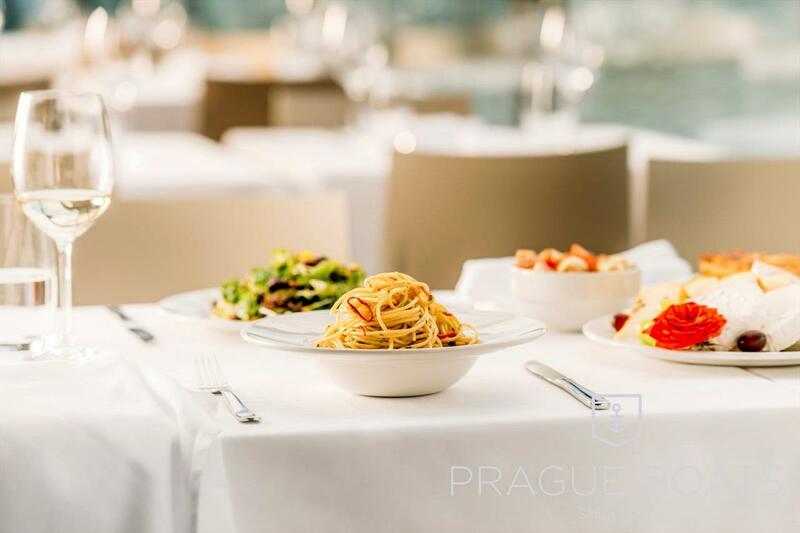 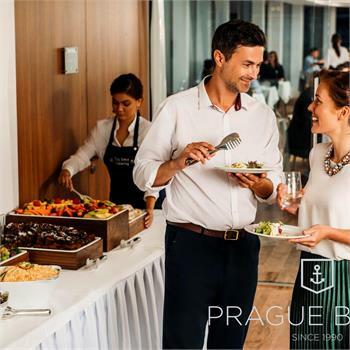 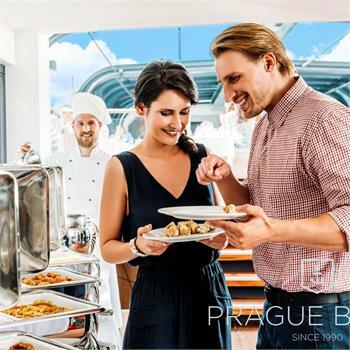 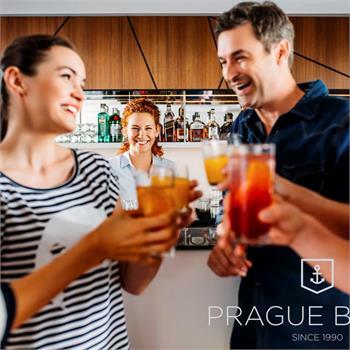 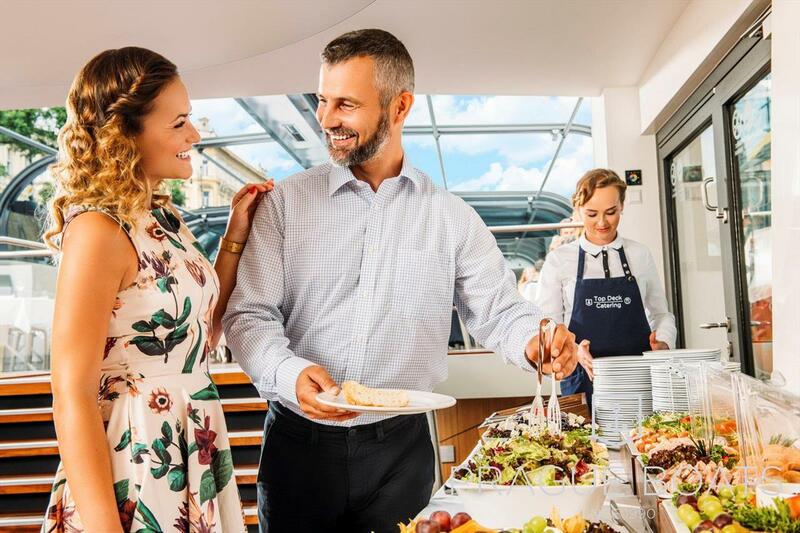 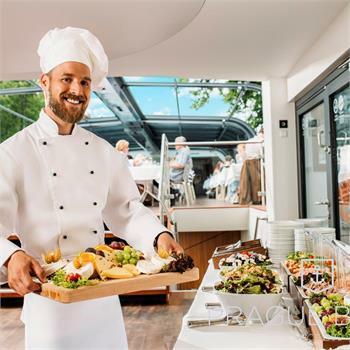 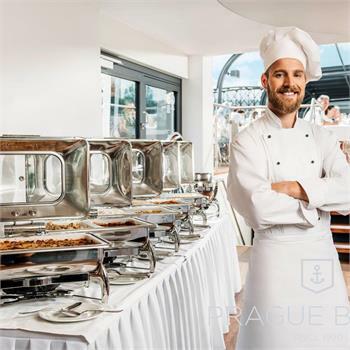 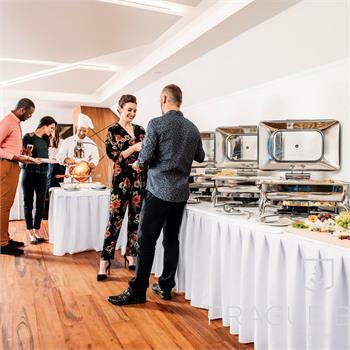 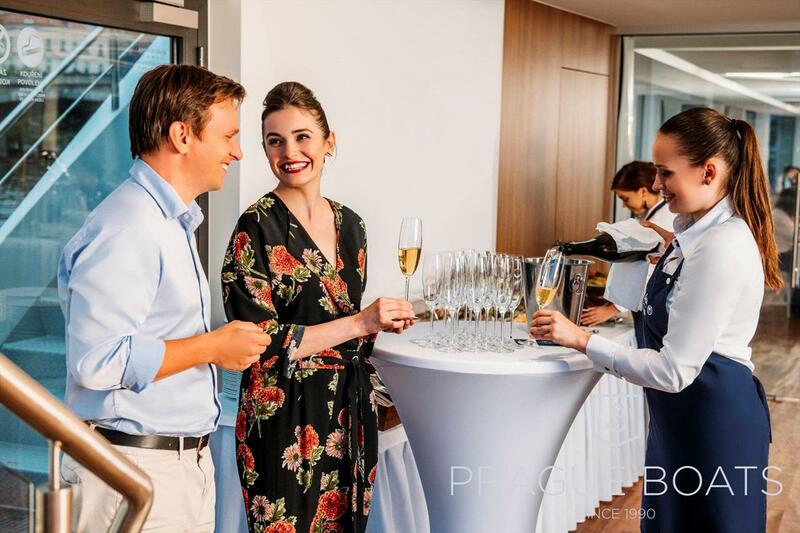 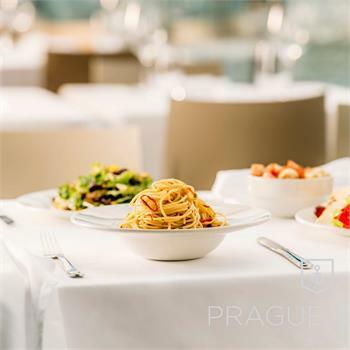 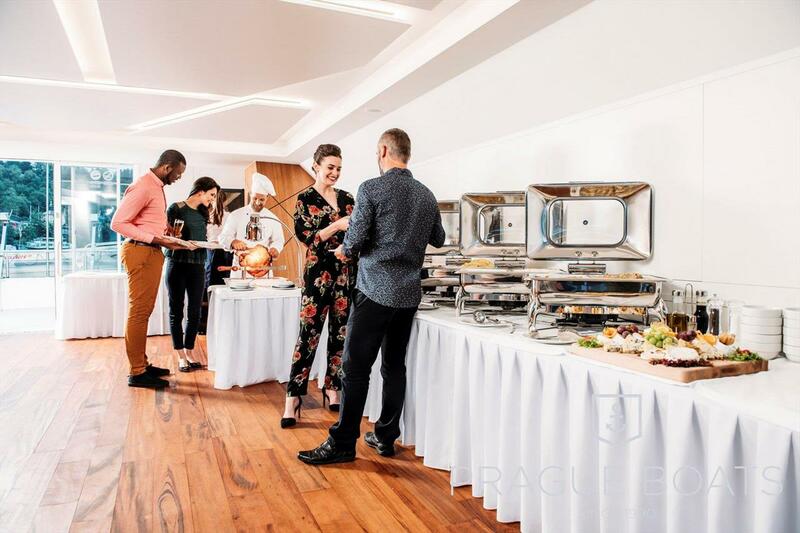 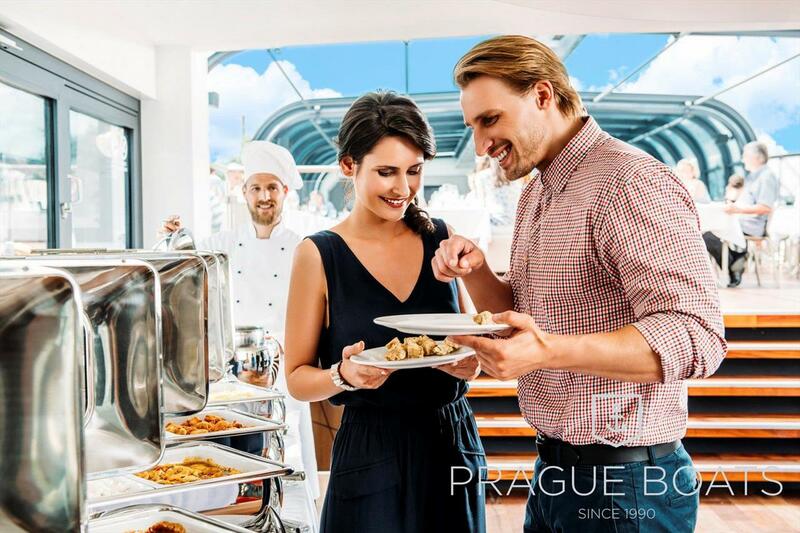 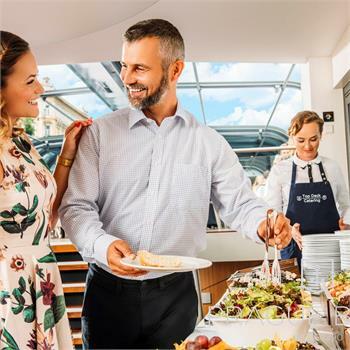 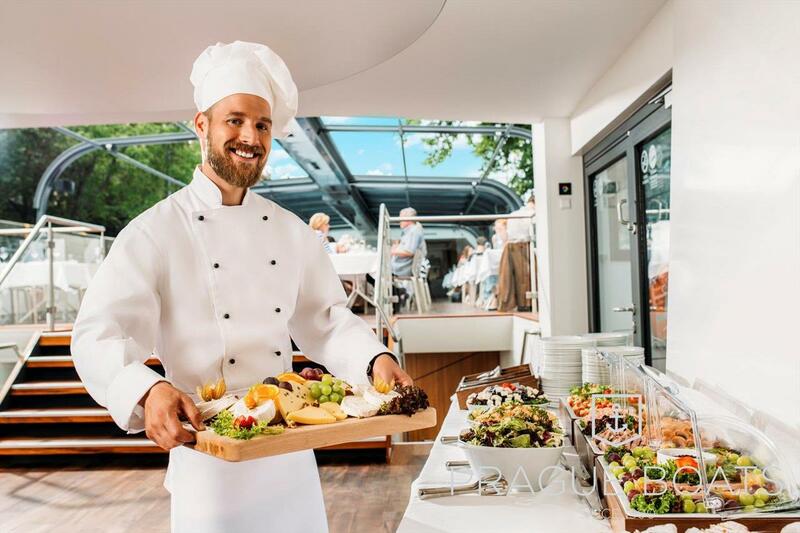 You can look forward to a unique and unforgettable experience, undisturbed views of Prague's monuments through the glass roof or directly from the open deck, and of course, a stylish buffet dinner, where you can choose according to your taste. 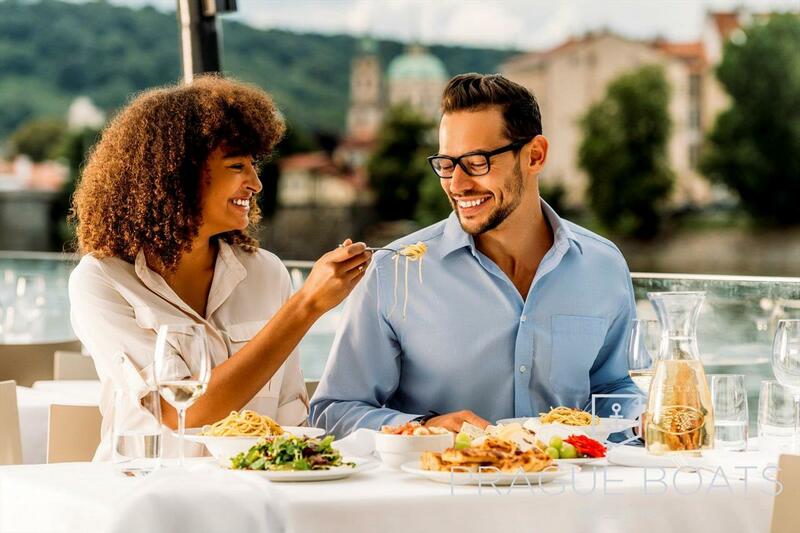 At least two persons per table required for reservation. 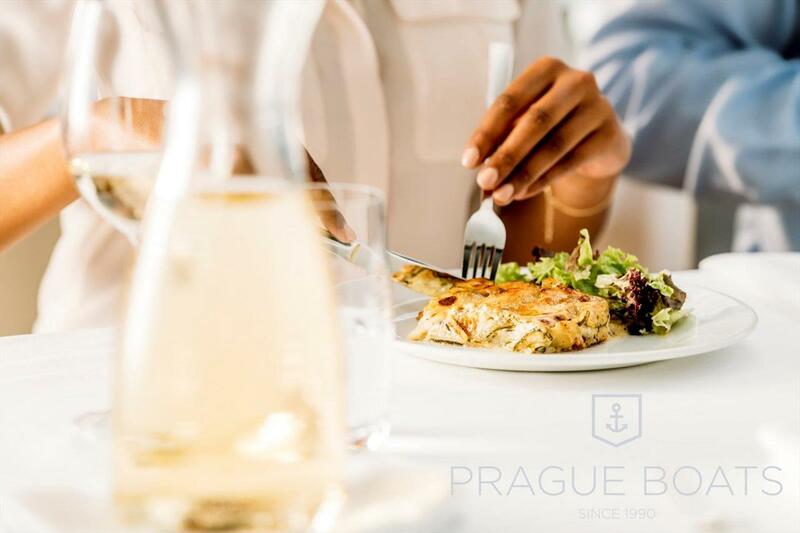 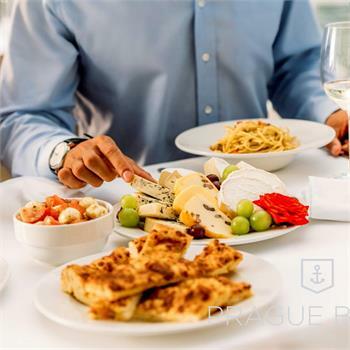 We guarantee a private table for at least four persons. 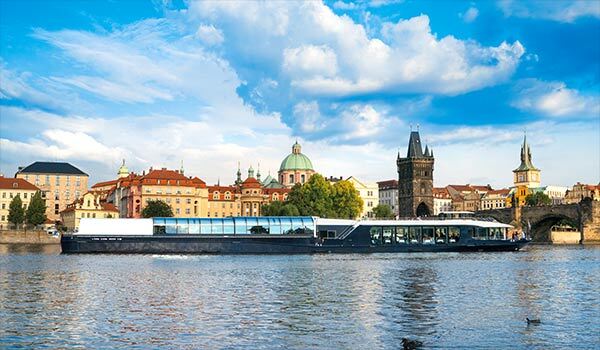 Animals are not permitted aboard. 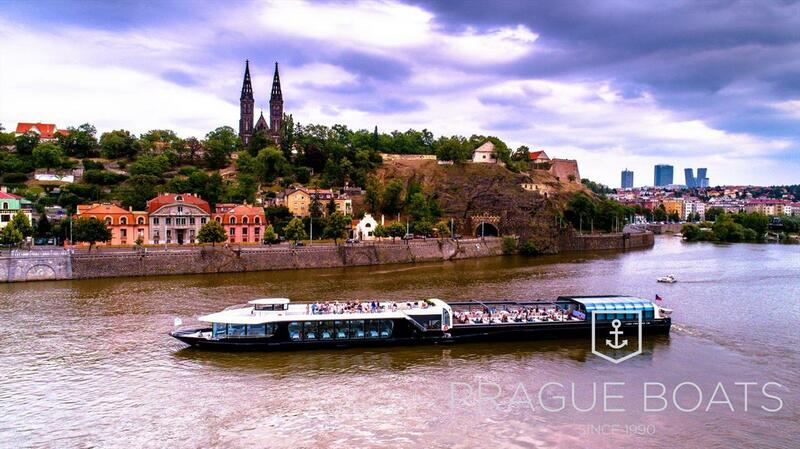 The cruise begins at the Čech Bridge and sails, as seen on the map below, behind the Vyšehrad fortress where it turns back. 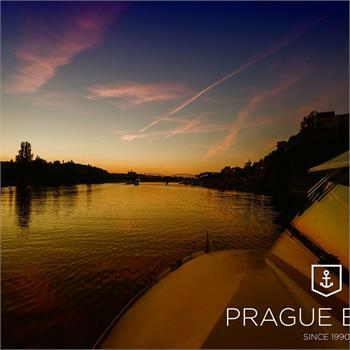 Should the Smíchov lock be too busy, the boat stays in the lower part of the river. 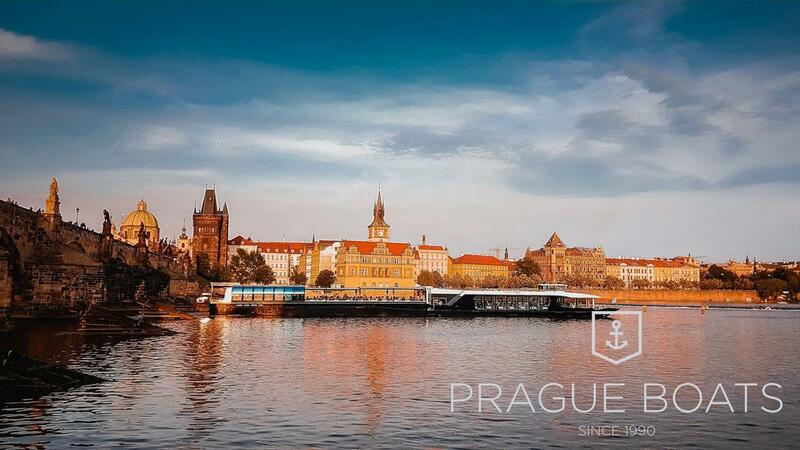 You will be informed of this prior to the cruise commencing. 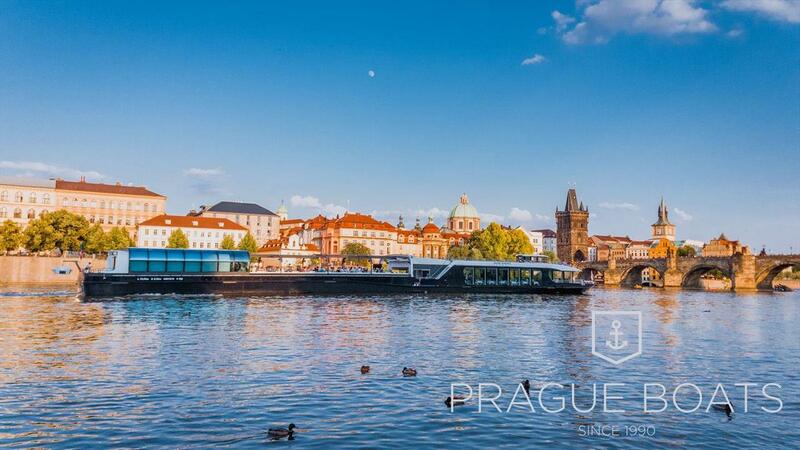 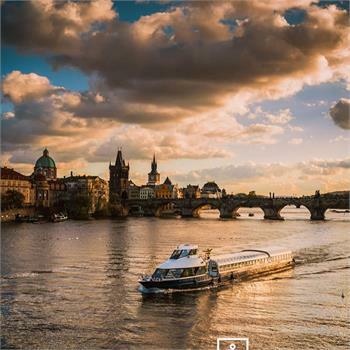 The boat departs from the dock at Čech Bridge and first cruises upstream on the Vltava beneath the Letná hills. 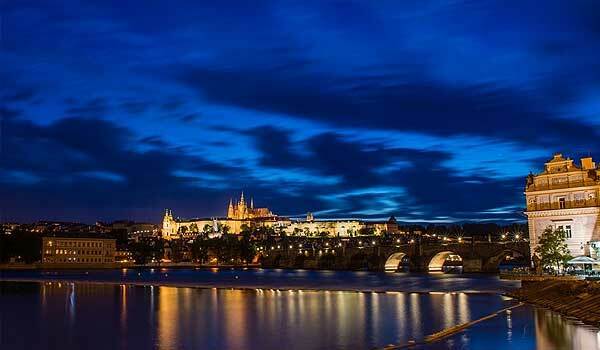 From there you will see the Prague Metronome and a moment later the illuminated Prague Castle. 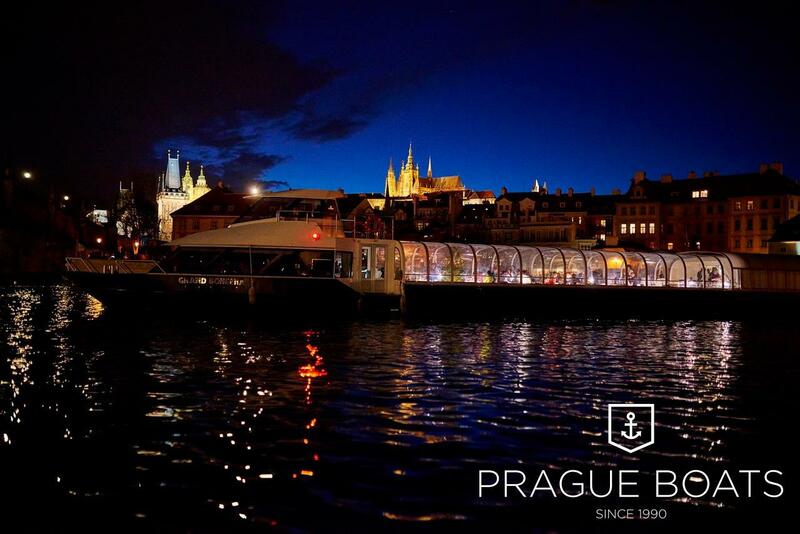 The boat will pass beneath the Mánes and Charles Bridges. 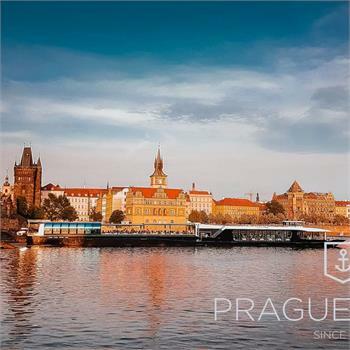 Please check in at our office on platform number 5 no later than 10 minutes before the cruise. 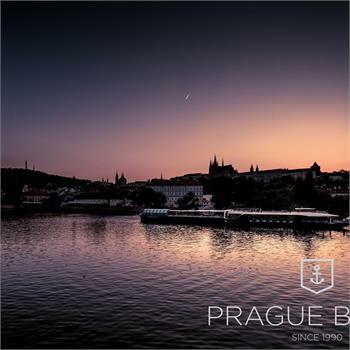 Boarding takes place from 19.00-19.20. 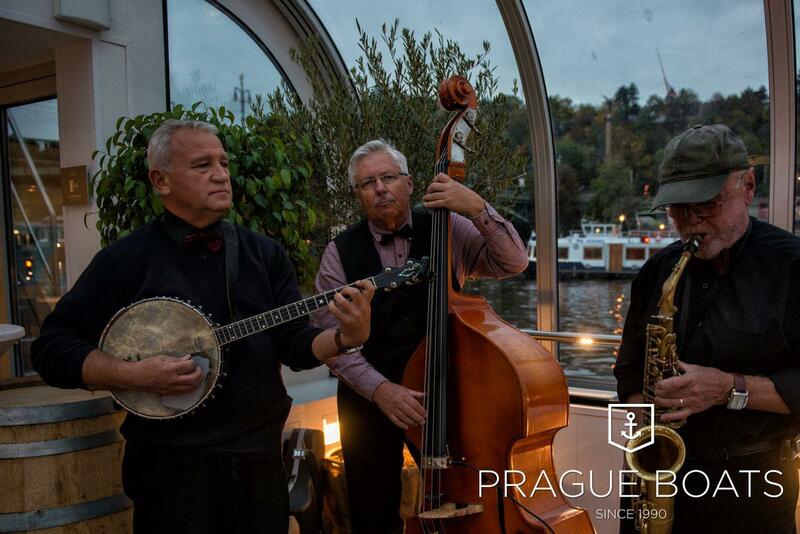 Please arrive in good time to ensure a relaxed start to your evening! 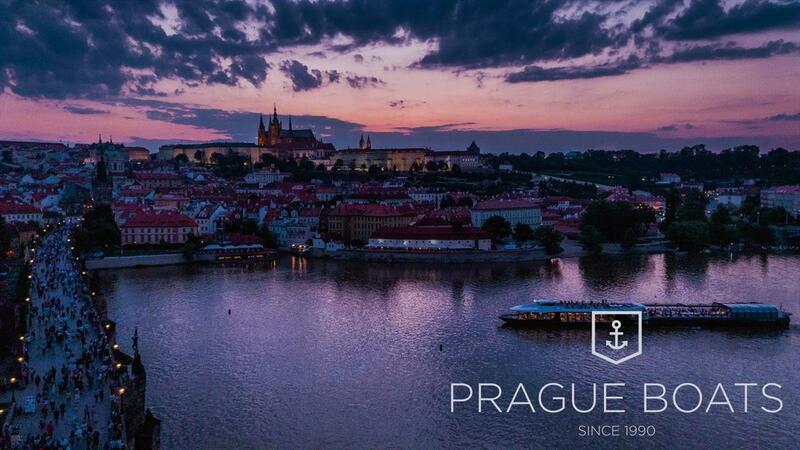 Do I have to book a cruise? 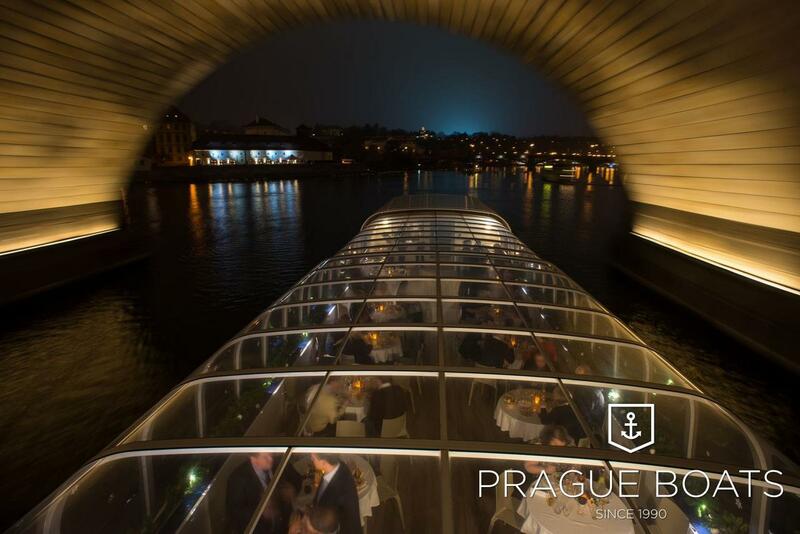 The Crystal Dinner Cruise must be booked in advance through our online booking service. 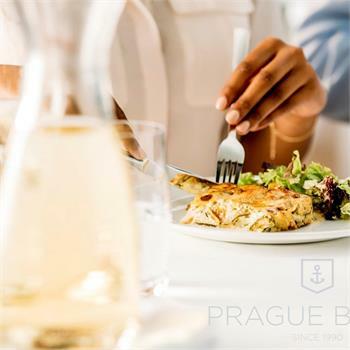 The minimum reservation is for two tickets and a private table is guaranteed for groups up to four people. 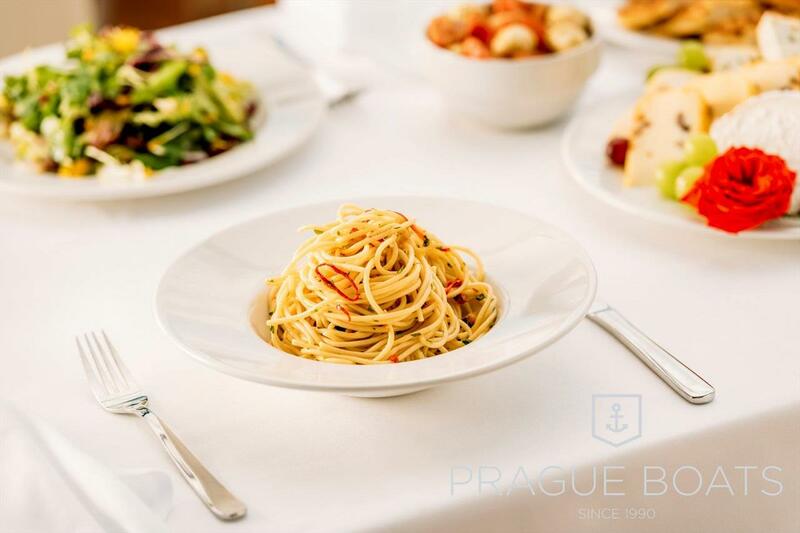 When you reserve online, you also receive a 10% discount. 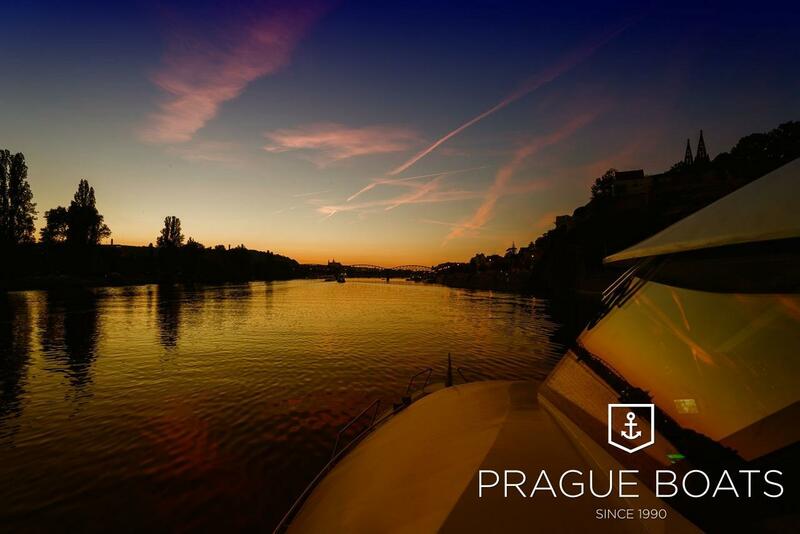 Which boat will I be on? 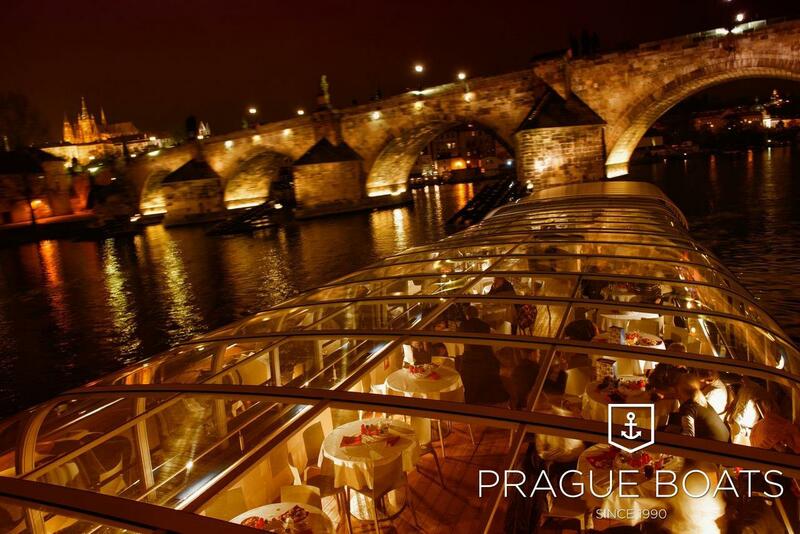 Our Crystal Dinner is hosted on one of our three state-of-the-art glass boats. 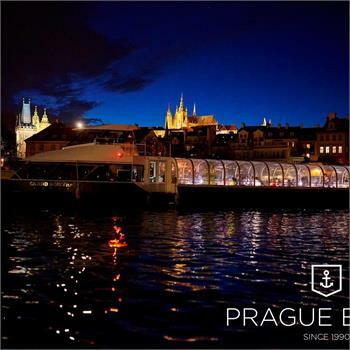 You will be informed of which boat you will be sailing on upon check-in. 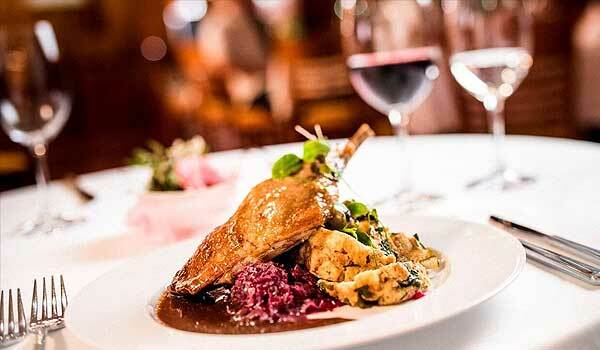 I am a vegetarian, what will I eat? 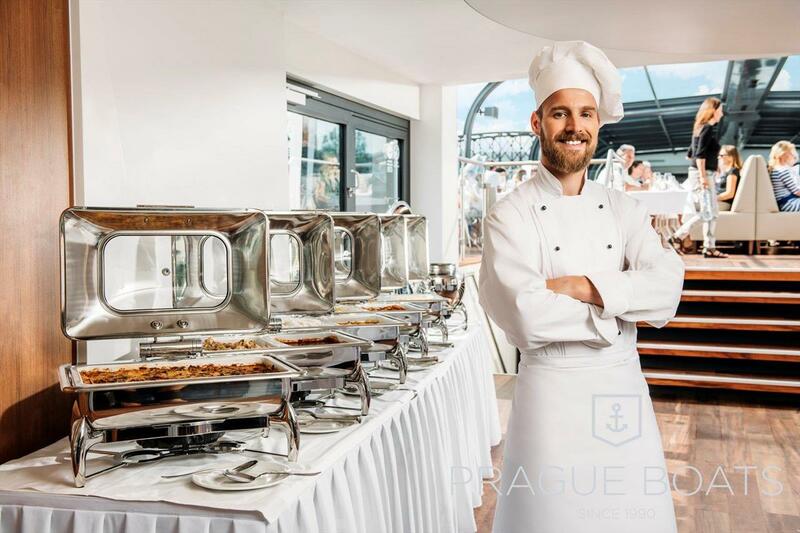 If you have other dietary requirements, such as an allergy to certain foods, please do not hesitate to inform the ship's staff. 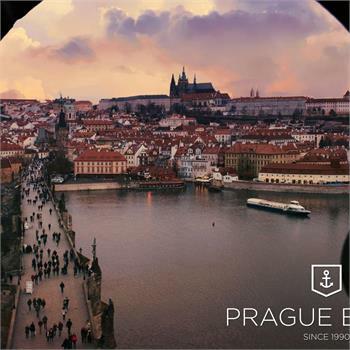 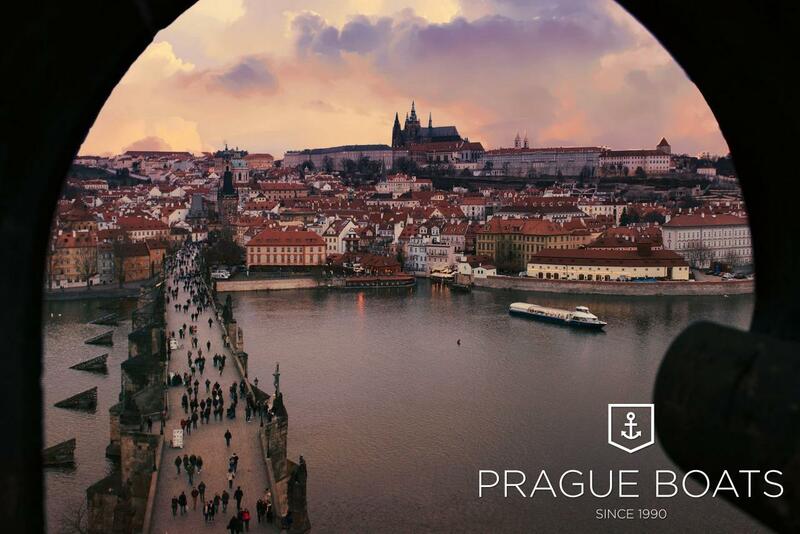 Yes, you can look forward to beautiful views of Prague’s sights and panoramas. 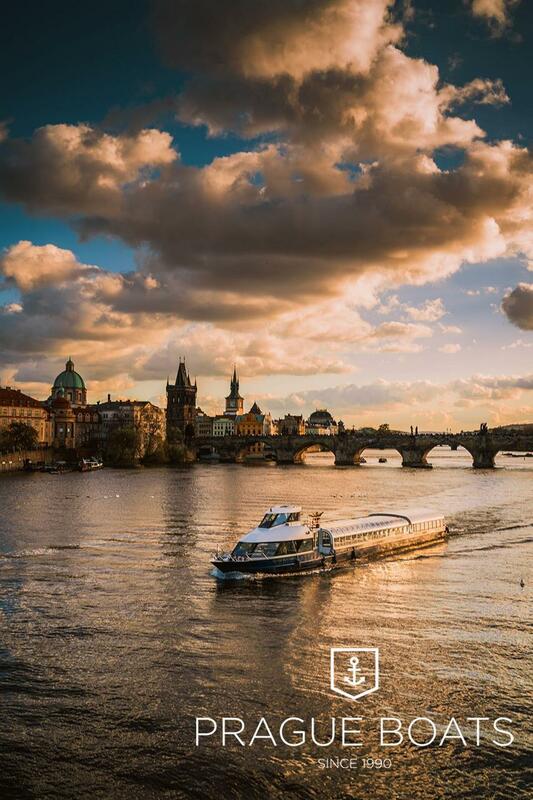 Is there a guide on the boat? 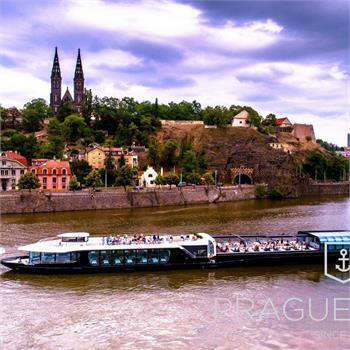 We recommend using an interactive guide that you can get on your mobile phone during a cruise.